Authorities received information about him from "local intelligence networks"
Fazul Abdullah Mohammed, a suspected terrorist, is shown in photos released by the FBI. Kiraithe said Kenyan authorities received information from "local intelligence networks" that led them to conduct the raid, which involved no foreign intelligence officials. He said police know Mohammed had, in fact, been at the location they raided, because they found two passports under names Mohammed has used. Kiraithe did not say what countries the passports were from. A massive manhunt is under way for Mohammed in Malindi and surrounding areas, "more intensive than ever before because we wouldn't want to miss him now," Kiraithe said. The U.S. offers a reward of up to $5 million for information leading to his apprehension or conviction. Mohammed has escaped capture and attacks before. Early last year a U.S.-led air strike in Somalia failed to kill him. In 2003, Kenyan police said he escaped authorities. In December 2007, the U.N. Security Council amended a list of 25 al Qaeda suspects subject to sanctions, including Mohammed. The description of Mohammed offered numerous aliases and said he had "reportedly undergone plastic surgery." 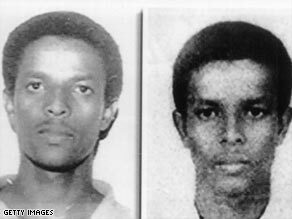 The FBI description says Mohammed was born in the Comoros Islands, and has used birth dates indicating he was born in either 1972 or 1974. He also has citizenship in Kenya, the description says. It adds, "Mohammed likes to wear baseball caps and tends to dress casually. He is very good with computers."